This is an original watercolour, pastel and pencil drawing. There are 3 in the turkey series, all are shown on the website. 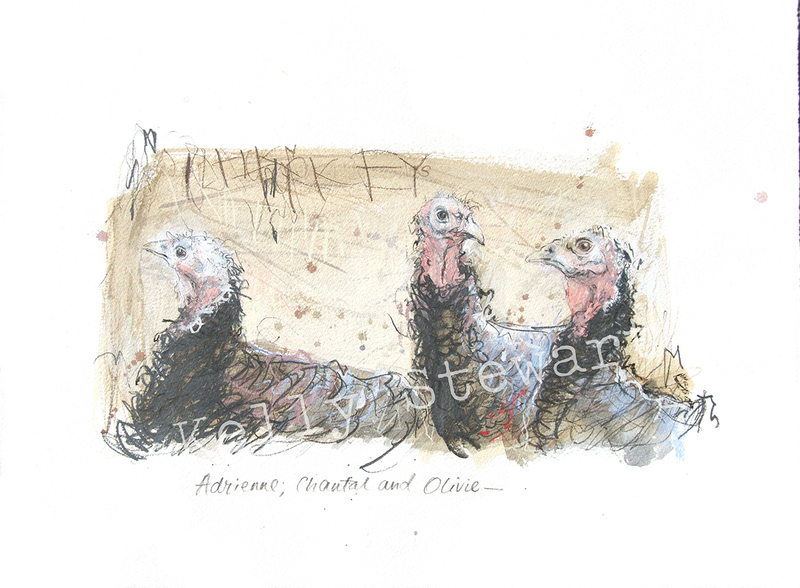 It was a pleasure to draw the turkeys, they reminded me of a couple of old ladies having a chinwag, looking precious, perhaps a little frail and wrinkled with a little blue rinse.